Pears are like bell in shape. The skin of the fruit ranges in color from green, yellow, red, brown, pink, or a combination of these colors. Pear pulp is white and juicy and grainy in texture. 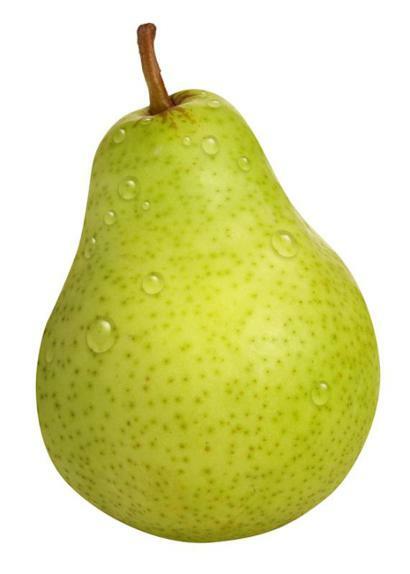 Pears are eaten raw and taste great in desserts.